File this one under trial and error: I started the project with high hopes of making a 2-gallon cement planter that I could stock with a variety of succulents. But while struggling to free the large planter from its mold, I dropped it on the ground, rendering it into…concrete chunks. 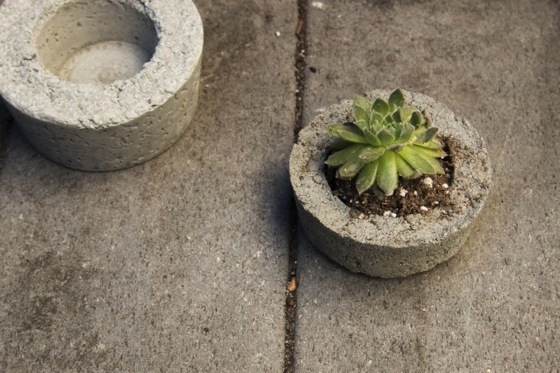 The good news is I still ended up with two adorable mini concrete pots.